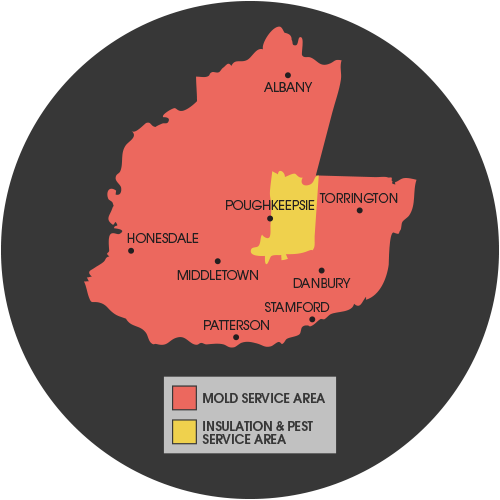 Expediant Environmental Solutions, LLC provides Connecticut, New York, New Jersey and Pennsylvania homeowners with professional mold removal, pest control, insulation and crawl space repair services. We offer the expertise, equipment and proven products to tackle the dirtiest, toughest jobs. From mold or pest problems to nasty, energy-wasting crawl spaces; whatever you're dealing with, we are your local experts. We serve many areas of New York, Connecticut, Pennsylvania, and New Jersey, including New Rochelle, Danbury, and Paterson and nearby. We have the products and expertise to rid your home of unwanted pests and insects. We can offer you a flexible service plan that meets your needs on either a monthly, bimonthly, or quarterly basis that can eliminate your general pests such as: spiders, pill bugs, crickets, millipedes, centipedes, carpenter ants, roaches, and termites. Your home is your greatest investment, so we understand why keeping it safe, comfortable and healthy is your top priority. Mold and pests can pose a health and safety risk to you and your family. Luckily, we offer effective mold remediation and pest control solutions. With patented products, advanced equipment and extensive training, our team of experts can help keep your home safe and healthy all year long. In addition to providing professional mold and pest control, we can help improve your home's air quality and comfort and lower your energy costs with insulation and crawl space repair services. 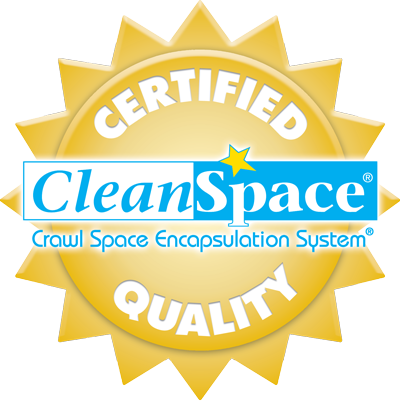 We offer a wide range of crawl space encapsulation solutions, including a durable vapor barrier system, energy-efficient dehumidifiers, duct cleaning, and winterization. "Crew put plastic down on our hardwood no mess and it was a..."
Expediant Environmental Solutions, LLC is Connecticut, New York, New Jersey and Pennsylvania's trusted contractor for mold treatment and remediation, pest control, insulation and crawl space repair. We have successfully diagnosed and fixed thousands of Connecticut, New York, New Jersey and Pennsylvania homes with mold, pest and comfort problems. We care about the overall comfort and health of your home. Let us take care of all your needs - from mold treatment to bed bug removal to proper insulation services. If you live in New Rochelle, Danbury, and Paterson or nearby, contact us today for quality service. We offer free estimates in New York, Connecticut, Pennsylvania, and New Jersey.